Natural graphite is mostly consumed for refractories, batteries, steelmaking, expanded graphite, brake linings, foundry facings and lubricants. Graphene, which occurs naturally in graphite, has unique physical properties and might be one of the strongest substances known; however, the process of separating it from graphite will require some technological development before it is economically feasible to use it in industrial processes. There is a posted price for graphite which provides a guideline with respect to longer term trends but transactions are largely based on direct negotiations between the buyer and seller. Graphite prices are also a function of flake size and purity with large flake (+80 mesh), 94% carbon varieties commanding premium pricing. Prices exceeded US$1,300/t in the late 80s but crashed to US$600-750t in the 90s as Chinese producers dumped product on the market. Graphite prices did not start to recover until 2005 and have surpassed US$1,300/t with premium product rumored to be selling at close to $3,000/t as the supply of large flake, high carbon graphite is tight. Price appreciation is largely a function of the commodity super cycle and the industrialization of emerging economies as new, high growth applications such as Li-ion batteries have not yet had a substantial impact on demand and consumption. China produces over 80 per of the world’s graphite supply. 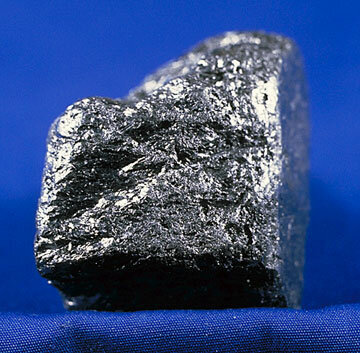 Approximately 70% of Chinese production is fine or amorphous graphite while 30% is flake. China does produce some large flake graphite but the majority of its flake graphite production is very small in the +200 mesh range. China was responsible for the large decline in graphite prices in the 90s as a substantial amount of product was dumped on the market. This is unlikely to be repeated due to the phenomenal growth in the Chinese domestic steel industry which internally consumes a great deal of graphite. Furthermore, Chinese graphite is declining in quality and costs are increasing due to the effects of high grading and to tightening labor and environmental standards. The majority of Chinese graphite mines are small and many are seasonal. Easily mined surface oxide deposits are being depleted and mining is now moving into deeper and higher cost deposits. China now has a 20% export duty on graphite, as well as a 17% VAT, and has instituted an export licensing system. China's consolidation of amorphous graphite mines (from 230 down to 20, according to Industrial Minerals) in the name of minimizing environmental impact will no doubt curtail amorphous supply, with the goal of ensuring domestic resources serve domestic needs first and international needs second. Graphite Blog - The #1 source for Intelligence, news and media for the Graphite and Graphene industry. Uley Main Road in South Australia, Australia is being developed by Strategic Energy Resources Ltd. (ASX:SER), which has signed an Implementation Deed with Mega Graphite Inc. for the acquisition by Mega Graphite of the project. The Uley mine previously operated until 1993. The project has a JORC-compliant mineral-resource estimate, with 4.3 Mt of the resource at the Indicated level @ 9.4 wt% CG and 2.3 Mt at the Inferred level @ 7.5 wt% CG (both at a cut-off grade of 3.8 wt%). It seems there’s no holding back Australian companies in their headlong rush into graphite. In addition to the group of junior explorers now hard at work on South Australia’s Eyre Peninsula - which looks likely to become an established graphite province - the exploration sector is combing the world for new projects. Or graphite comes to them, as is the case with Castle Minerals (ASX:CDT) which found the material on its Wa gold ground in northern Ghana. Castle has now proclaimed their Kambale project “ranks as one of the largest global graphite deposits”. The company this week reported a maiden resource of 14.4 million tonnes at 7.2% graphitic carbon - or 1.03 million tonnes of contained graphite. Metallurgical test work returned results with coarse flake sizings. The graphite outcrops at the ground surface and 90% of the deposit lies at depths of less than 100 metres. Drilling tested only the first 1km of strike with extensions and the eastern zone at Kambale still be to drilled. Managing director Mike Ivey said the company drilled its first hole in March and regarded as an achievement bringing in a resource just four months later. Only 20 per cent of the graphic schist horizon had been tested, he said. Here’s something you may not have known: from the 1960s until the early 1990s, South Korea was the world’s largest producer of graphite. Then along came China in the early 1990s and dumped graphite on the world market, sending prices slumping and the South Korean mines were shuttered. Now an Australian health products company OMI Holdings (ASX:OMI) - which is planning to re-brand itself as Peninsula Graphite - has picked up several graphite targets in South Korea. It has bought a private Australian company, Opirus Minerals, which has flake graphite exploration permits and ground that includes de-commissioned mines. Cullen Resources (ASX:CUL) was an accidental graphite player, when its TL base metals property near Mabel Lake, east of Vernon, British Columbia, turned out to contain graphite-bearing schists, including coarse-grained flake graphite. That is now being worked on, but Cullen this week also applied for ground over six known graphite prospects in Finland. This company had started investigating Scandinavia after another Perth-based outfit, Talga Gold (ASX:TLG), picked up the Nunasvaara project in Sweden and sent its share price soaring. Cullen is eyeing potential graphite buyers in Europe. And further news from Tanzania where Kibaran Resources (ASX:KNL) says preliminary test work has revealed strong graphite potential at its two Tanzanian properties, Mahenge and Merelani-Arusha. Sampling has produced grades up to 17.1% graphitic carbon. Investors who remember the lithium boom (and bust) a few years ago may be twice shy to enter a space with big upside potential tied to electric vehicles. But the parallels between graphite and lithium are superficial, insists Simon Moores, analyst with Industrial Minerals. Graphite, unlike lithium, supplies layers of demand, with reliable end-users in the steel industry. Meanwhile, China's production lull is making way for market entrants. In this interview with The Critical Metals Report, Moores profiles graphite miners around the world competing for the market's attention. The Critical Metals Report: The graphite market is one commodity sector that is getting increased interest over the past year or two. What's the best way to participate in this market? Simon Moores: Because the graphite market is dominated by Chinese companies and private companies, juniors are really the only way to participate directly in this market. The non-Chinese major players, like TIMCAL Graphite & Carbon in Canada, are part of larger minerals companies. So when you invest in Imerys (NK:PA), which is the parent company, you're not investing in an exclusively graphite-focused company. Graphite is only a tiny percentage of its business. Many of the other major non-Chinese companies in the market are private, such as Nacional de Grafite in Brazil, as well as a number of smaller private producers in Zimbabwe, Austria, Russia and Norway. Ultimately, your most direct option is to go for the juniors. TCMR: Who are the main graphite consumers? SM: Graphite's current demand is mainly driven by industrial uses, metal production being the most important. Steel is the main driver of the graphite market on two fronts. First is in refractories, which is the biggest end use. Refractories are used to line huge steel kilns and as protective linings in bricks. Graphite is also used as an additive, in what is called a "recarburizer." Steel demand has historically driven the graphite market, accounting for approximately 39% of the market. Because graphite has so many unique uses and properties, new applications are being created all the time. Graphene is the latest "super material" and the only real chance of commercializing this is by physically stripping flake graphite. The difference with graphite demand is that one technology does not supersede another. Its incremental demand just builds. On average, graphite demand steps up every 15-20 years, and if the past is anything to go by, we are on the cusp of a new era. TCMR: What specific new applications could make waves in the graphite market? SM: The market you're looking at is lithium-ion batteries and anything that uses them. Graphite is already used in all current battery technologies as an anode material. But as we speak, lithium-ion battery technology has the potential to go through the roof, especially with electric vehicle manufacturing. There are a lot of unknowns as to how that market will develop, but it has the potential to grow quickly and in large volumes. Electric vehicles should be the catalyst for explosive growth in graphite demand. TCMR: With the Chinese the dominant supplier and consumer in the market, is there geopolitical risk associated with Chinese behavior—perhaps something similar to what happened in the rare earth markets? SM: Definitely. China dictates everything in the current graphite market. In the late 1980s and early 1990s, China came into the market in a big way as an exporter. Producers there undercut many suppliers around the world, and as a result newer, higher-cost mines in Canada and Western Europe were forced to close only a few years after opening. Many of the non-Chinese miners were destroyed overnight. Fast forward two decades, and China has held the potential to restrict graphite exports that the world has come to rely on. The Chinese government doesn't like many things in mining, namely low-value exports and polluting plants and mines. Much of the Chinese graphite sector optimizes these points. It is a much older industry than many realize, and because the space dominated by small- to medium-sized companies' it's hard to regulate. Plus, the wastage of resources is significant on most graphite mines. China still has some world-leading companies that supply high-quality graphite. But the majority of supply comes from the smaller producers to provincial markets. The concern is that China may not be a reliable and low-cost supplier indefinitely, and that's why you're seeing lots of junior exploration today. TCMR: What happened to the mines in the 1980s and 1990s? Have any of them been restarted? Are those brownfield exploration targets in some cases? SM: The only new mine that survived, strangely enough, is TIMCAL in Quebec, Canada, which is one of the biggest outside of China. It produces 20 thousand tons (Kt) per year. It really only survived because Imerys, a major French minerals company, bought it because it is a big buyer of graphite. The company then was known as Stratmin. Otherwise, the rest of producers stopped abruptly. Examples include the Uley mine in Australia, which Mega Graphite Inc. (MEGA) is currently developing, Ontario Graphite Ltd.'s (private) Kearney mine and Flinders Resources' Kringel mine, formerly known as Woxna. TCMR: Speaking of Australia, do you want to give us an update on Strategic Energy Resources Ltd. (SER:ASX)? SM: It's gone a bit quiet. It was making good progress at the start of this year, but I think there have been some changes at the corporate level of MEGA Graphite. The last six months have been very quiet for many resource companies, however. Most likely, it is probably a case of the commodity cycle taking a break. TCMR: Do you see any catalysts coming up for MEGA/Strategic Energy Resources? SM: Funding is key. The Uley mine has a stockpile of approximately 10 Kt of graphite that the company says is almost ready to go. It needs to be reprocessed however, and building a functioning processing plant is most of the battle. Luckily, getting tonnages to the market is easier for MEGA/Strategic than a lot of companies – the key is getting it accepted by end-users that have been using the same supplier for many years. Consistency is key for Mega and for all new graphite suppliers. Graphite is a specialist product, not a commodity. Buyers want a consistent product with impurities they can manage. Knowing what to expect when you buy graphite is more important than producing the highest quality and purity. Ultimately, with the global financial situation the way it is, funding is critical for all these companies. It's been difficult. TCMR: Are the capital costs high for graphite processing? SM: It depends what you want to do. Basic processing methods include crushing, grinding, flotation and sizing. Flotation is the most expensive part, depending on the desired level of purity. It's much more expensive to get the float graphite – known as graphite concentrate – above approximately 97%. Generally, it is not worth it because the market accepts 94%–97% as the highest quality. Now, if you want to then take it up to the high-purity material that's used in batteries (in the 98%-99.99% range), you have to build a new plant. It's a whole different ballgame of mechanical processing and chemical purification. You have to do it all over again with special techniques, which is very expensive. For that reason, companies will shy away from the top end of that market. TCMR: Would some deposits be more suited for the higher purity or is it really just value-added processing that gets them there? SM: Ultimately, it's value added. Obviously, the quality of the graphite in the ground significantly aids that, but it comes down to processing. It always has. That's why Western graphite companies like Superior Graphite Co., Asbury Carbons (private) and Graphit Kropfmühl AG (GKR:FKFT) in Germany were able to continue regardless of China's production dominance. These companies are the biggest graphite companies outside of China, but they are not miners. They can add value with proprietary technology and processes. TCMR: Should investors who want graphite exposure look for the junior mines that are going to feed the supply chain? SM: Yes, exactly. Look for high-quality deposits in the ground. Look for large-flake or high-grade content but, ultimately, focus on how a company plans to process it and get it to the market. That will make or break a graphite company, and that's why most of the deposits that are listed won't even get beyond a few drill holes. The serious ones will have a business plan from mine to market. TCMR: Lithium is a recent example of a speculative boom followed by a bust. Is there an analogy between what happened with lithium a couple of years ago and where graphite is today? SM: Superficially, the investment thesis for both lithium and graphite starts with batteries for electric cars as a catalyst for growth. But when you look a little deeper, there are large differences in the two markets. The fundamental supply structure is very different. Most current graphite comes from a single country – China. With lithium, that's not the case. Supply is fairly stable across several countries – Chile, Argentina, and Australia. The lithium market is dominated by big companies that have supply locked and secured and prices under control. There's very little room for new producers to come in. But the largest graphite companies aren't graphite miners. The dominant supplier is China, with just under 80% of the market. If the largest companies aren't miners and China is supplying the lion's share of graphite concentrate, even though there are no significant restrictions, there is going to be room for some new suppliers outside of China. Compared to the lithium market, the graphite market has much more opportunity. You also have to look at the trend in the biggest buyers of graphite, the world's third-largest refractory company – Brazil's Magnesita Refratarios – is seeking to be 100% self sufficient in graphite supply and intends to open a new mine in the next 18 months. This drive stems from its distrust of China. The company has gone on record as saying graphite is not a stable supply chain and reliance on China must be reduced. While I think the graphite supply chain is stable today, I agree with that sentiment going forward. And that is just the supply side. There is healthy demand for graphite across the many industrial uses as well as the "layers" of demand from evolving technology. TCMR: Where might some of those new suppliers come from? Are there any geographies that look especially good – maybe Africa or Canada? SM: Canada has a chance to develop new graphite mines. There are some good projects there. However, there is a unique challenge that Canadian companies face—the companies are bogged down with the stock market, putting out results, trying to woo investors and raise funds. That's the game in Canada, and I understand that. But it concerns me in that it is a distraction to exploration and mine building. However, if you look outside of Canada, exploration is nowhere near the same level. But there are a couple of countries that have good potential to become graphite producers. Mozambique is a former producer with some very high-quality graphite resources. The German company Graphit Kropfmühl is active there. Out of the whole of Africa, Madagascar is the country with the brightest prospects. Energizer Resources Inc. (EGZ:TSX.V; ENZR:OTCBB) is the leading company in Madagascar. TCMR: What are its prospects? SM: Energizer Resources is about to announce a huge resource in Madagascar. The deposit is at surface, so the mining side is easy. The company is working out the infrastructure, power and water, which will be the project's lynch pin – it's planning to team up with much larger projects nearby, including a big coal mine. The deposit will be more than 100 million tons (Mt), which will be the largest proven resource in the world. TCMR: Larger than the Chinese deposits? SM: With the Chinese deposits, it's very difficult to know the size. The Chinese companies don't need to drill to satisfy NI 43-101 or JORC requirements. Instead, they do some sensible drilling and then mine—they explore when they need to. TCMR: Does Energizer have some catalysts coming up? SM: The announcement of the resource financing should be the next catalyst. It's already in the leading pack of development companies, but when it comes out with a huge resource on the order of 100 Mt, that will strike a chord with the Canadian investors, who are focused on grade and size. TCMR: Are there any other Canadian companies that you like? SM: Northern Graphite Corporation (NGC:TSX.V; NGPHF:OTCQX) and the Bissett Creek project is a very strong prospect. It's the most advanced graphite project out of all of them. Northern has just completed its bankable feasibility study, beating everyone else to the punch. The efforts that the company took in the 2000s, when graphite wasn't on the radar, are now paying off. Focus Graphite Inc. (FMS:TSX.V) and its Lac Knife project is also a strong prospect. The company is also looking at the technology and processing side more than other companies, which is a positive sign. One other interesting project in Canada is by Zenyatta Ventures Ltd. (ZEN: TSX.V). I like it because it's vein graphite, and this is the only known deposit of its type outside of Sri Lanka. Vein graphite is much cheaper and easier to mine and process. This could offer the company a significant cost advantage. In Sri Lanka, the graphite is found in lumps that they can hand mine, crush and size. Its purity is so high that no flotation is needed. Skipping this part can save a lot of time and money. The company hasn't promoted the deposit heavily – certainly not as a vein deposit, which it really should. The project marketing has been about trying to compete based on resource size and grade with the rest of the juniors. But it should focus on the purity of graphite in the ground. TCMR: Do you have any final advice for investors either getting into the space or looking for a little bit of nerve to stay in the space? SM: My perspective is from the market side. Predicting winners or giving advice on public graphite juniors is a hazardous game because it's not always about the deposit's merits or company's plan. That said, here is how I would analyze the graphite sector as a whole if someone was looking to invest: Look at the fundamentals of the industry. I understand how investors get scared when commodities fall across the board. Money comes out of the market and the investors wait for the moment to go back in. But keep your eyes on fundamental supply and demand dynamics over the next five years. Where is the supply coming from, and is that supply source reliable? As far as demand, we need to look at what will power the next "industrial revolution" in the West. I believe this is technology and sustainable living/cleaner energy. Investors can see for themselves that batteries are increasing in all walks of life. Five years ago, I carried one mobile phone, but now, when on business, I carry two mobiles, a laptop and an iPad – all battery powered. It makes complete sense that transport is next – and that will be the game changer. And we must not forget that heavy industry will continue – maybe not at the boom rates of the 2000s, but we will always need buildings and vehicles. This will ensure that refractories remains a major market for graphite. TCMR: Thanks for your time, it has been interesting and informative. SM: Very happy to give my thoughts. Simon Moores has been reporting on, researching and analyzing the non-metallic minerals sector since 2006, when he joined London-based publishing and research house Industrial Minerals. He has specialist knowledge in critical and strategic minerals including graphite, lithium, rare earths and titanium. He led the research and publication of the market study,The Natural Graphite Report 2012: Data, Analysis and Forecast for the Next Five Years. One of the study's key findings was China's dominance of production was significantly higher than previously thought, accounting for 78% of supply. He has chaired conferences and given keynote presentations around the world. He has also been interviewed by international press including London's The Times regarding Chinese control on world graphite production, and The New York Times with regard to rare earths after breaking the story that China blocked exports to Japan in 2009. 1) Alec Gimurtu of The Critical Metals Report conducted this interview. He personally and/or his family own shares of the following companies mentioned in this interview: None. 2) The following companies mentioned in this article are sponsors of The Critical Metals Report: Strategic Energy Resources Ltd., Northern Graphite Corp. and Energizer Resources Inc. Interviews are edited for clarity. 3) Simon Moores: I personally and/or my family own shares of the following companies mentioned in this interview: None. I personally and/or my family are paid by the following companies mentioned in this interview: None. I was not paid by Streetwise Reports for participating in this interview. The graphite occurrence was first noted by Russian geologists whilst prospecting for manganese in the 1960s. RAB drilling and resultant carbon analysis was conducted in early 2012, confirmed extensive zones of high grade graphite in the region. Zones up to 50m true width have been reported and the zones are interpreted to have at least 1km strike extents. A phase of RC drilling has recently been completed (June 2012) and assays are awaited. This work will also include sample collection for metallurgical testing and flake sizing..An initial rephite. Metallurgical test work returned results with coarse flake sizings. The graphite outcrops at the ground surface and 90% of the deposit lies at depths of less than 100 metres. source for this graphite occurrence is proposed to be completed by August 2012. The company subsequently reported a maiden resource of 14.4 million tonnes at 7.2% graphitic carbon - or 1.03 million tonnes of contained graphite. Drilling tested only the first 1km of strike with extensions and the eastern zone at Kambale still be to drilled. Managing director Mike Ivey said the company drilled its first hole in March and regarded as an achievement bringing in a resource just four months later. Only 20 per cent of the graphic schist horizon had been tested, he said. The main producers are Societe Miniere de la Grande Ile and Establissments Gallois from widespread occuurences along the eatern coast near Tamatave. ( Graphite Technology was incorporated in Pennsylvania on April 27, 2004, following which time Graphite Technology acquired the graphite processing equipment of Applied Carbon Technology (America), a corporation involved in certain processing and sales of graphite. On January 31, 2005, Graphite Technology reincorporated in the State of Delaware. On July 27, 2005, Graphite Technology entered into a purchase and sale agreement with Societe Miniere de la Grande Ile, ("SMGI"), M. Bertil Akesson, owner/operator of the Ambatomitamba Graphite Mine and four contiguous graphite mines located in Madagascar by which Graphite agreed to purchase a 50% common equity interest in Societe Malagasy du Grafit s.a.r.l., a Madagascar limited liability company ("SOMAGRA"), as and at the time that SOMAGRA owns and has rights to operate and develop the Ambatomitamba Graphite Mine and Sahanovo Mine and contiguous surface mines at Ambodihasina, Sandraka, Ambiani and Sahamaloto. On March 26, 2006, Graphite Technology acquired that 50% common equity interest in SOMAGRA. The purchase and sale agreement also provides Graphite Technology the option to purchase the remaining 50% of SOMAGRA less one share at any time within three years of the closing. Prior to closing, all graphite mine claims and mine leases controlled by SMGI, affiliate companies of SMGI, or by Akesson,) The deposits are in a region where lateritic deposits of iron and bauxite also are found. The graphite occurs in highly metamorphosed schists and gneisses that have been weathered deeply to soft, ferruginous clays. The graphitic content of the original rock has been raised through the natural leaching process. The graphite, being resistant to weathering, is found among the weathered residue. The crude ore contains 3%-10% graphite, of which about two-thirds is large flake and one third is fine flake. The nongraphitic portion of the flake product is uniform and consists (after oxidizing) chiefly of a clayey residue with some quartz and a sprinkle of accessory minerals such as mica, zircon, rutile, and epidote. Sulphur compounds are absent and iron is low. Energizer Resources Inc. is a mineral exploration and development company based in Toronto, Canada, which is developing its Green Giant Project located in Madagascar. The Green Giant hosts one of the largest known vanadium deposits and potentially one of the largest known graphite deposits. During September 2012 Energizer received additional assays from its National Instrument (NI) 43-101 graphite resource drill program on the Molo deposit. The results continued to outline the targeted deposit size and boundaries, as well as the grade of the Molo deposit. The Molo deposit is located in the Green Giant Graphite project, and is part of the joint venture (JV) property with Malagasy Minerals Limited in Madagascar. Energizer has a 75% ownership interest and is the operator of the project. Energizer has now received a combined total of 24 (of 47) drill holes, and 10 (of 19) trenches completed over the Molo deposit. This dataset continues to confirm that the Molo deposit has a very large footprint.The company has focused its resource delineation program on the Molo deposit. The deposit’s description and shape consists of a 2 km strike length with a south plunging antiformal fold. In the north, the graphite mineralization is between 50-100 metres in width. The deposit then flares to over 500 metres in width as you move south, after which the graphite deposit width tapers to approximately 250-350 metres before splitting into two ‘arms’. The widths of these arms range in size between 50 and 100 metre widths respectively. The deposit is open at depth, and along strike. Drill and trench data received to date, as well as mapping, prospecting and geophysical surveying, confirms graphite mineralization at surface, and over an area of at least 250,000 m­2. The depth of mineralization that has been confirmed by drilling is in excess of 300 metres. With these results, the Company continues to move forward outlining a potential deposit size of 80-120 million tonnes. As well, the assays have outlined a grade average of between 5 and 8% carbon. Immediately to the east, and attached to the Molo deposit is a graphite-bearing synformal fold of similar dimensions to the Molo deposit (which is an antiformal fold). This eastern synformal fold (“Molo East”) will not be part of the Company’s upcoming NI 43-101 resource statement as it was not drill tested. Through the use of both ground and airborne geophysics, geologic mapping and prospecting however, the Company believes that additional graphite mineralization would be easily obtainable at Molo East. It was reported in February 2012 that the German multinational Graphit Kropfmuhl AG has been selected by public tender to run the graphite mine at Ancuabe in the northern Mozambican province of Cabo Delgado. The company currently has operations in Zimbabwe, China, Sri Lanka and Germany. Graphite was mined in Ancuabe between 1992 and 1999, but operations were suspended due to the high cost of running electricity generators. However, the situation changed two years ago with the expansion of the national electricity grid. Graphit Kropfmuhl has decided to remove the old machinery from the mine and install its own equipment. The provincial director of Mineral Resources, Ramiro Nguiraze, told the daily newspaper "Diario de Mocambique" that the company has also found graphite deposits in the administrative post of Mazeze, in Chiure district. Samples from the discovery have been sent to China, South Africa and Japan for laboratory testing. Syrah Resources Ltd's Balama graphite deposit comprises a ridge and three small hills containing graphitic schists. Field reconnaissance has found extensive outcropping areas of high grade of graphite. The mapped strike distance of the graphitic schists is over 8km. Balama is a 106km2 granted prospecting licence located within the Cabo Delgado province in the district of Namuno in northern Mozambique. The project is approximately 265km by road west of the port town of Pemba. Pemba Port is a deep-water container port, and the third largest in Mozambique. Syrah's Balama deposit, an outcropping mound of graphite. BMDD0010: 28.75m @ 21.1% TGC & 0.32% V2O5 from 2.2m to 30.95m and 71.7m @ 21.9% TGC & 0.48% V2O5 from 42.8m to114.5m.The zone between 30.95m and 42.8m was a pegmatite intrusion. Drilling at Balama is ongoing. So far, 40 diamond drill holes have been completed in two zones, Balama East and Balama West. Syrah’s managing director, Paul Kehoe, describes Balama’s potential variously as spectacular, outstanding, world class and exceptional. Minerals explorer Syrah Resources on 27 May 2013 reported that its Balama graphite and vanadium project, in Mozambique, now contained over one-billion tons of resource, after a maiden inferred mineral resource was declared at Balama East. Syrah said that the inferred resource at Balama East far exceeded the exploration target of between 300-million and 400-million tons. The Balama East deposit is estimated to host some 579-million tons of ore at 10.6% graphite and 0.26% vanadium. Within this resource, a high-grade Mepiche zone was estimated to host an inferred resource of 145-million tons at 15.1% graphite and 0.43% vanadium. The mineral resource estimate for Balama East has increased the total Balama project’s resource to 1.15- billion tons, at 10.2% graphite and 0.23% vanadium, to contain some 117-million tons of graphite and 2.7-million tons of vanadium. Syrah said on Monday that based on the global resource, the Balama project was the largest known graphite deposit in the world, while the contained vanadium resource was around six-times the size of the world’s largest operating vanadium deposit. The company told shareholders that the scoping study for the Balama West deposit was progressing to plan, and was expected to be released by June. This, combined with the mineral resource update, metallurgy and marketing studies, would provide the foundation for a feasibility study, Syrah said. The Australian mining company Triton Gold Ltd announced in July 2012 the conclusion of the first phase of due diligence of five graphite exploration licenses in the northern Mozambican province of Cabo Delgado. A company announcement said that this due diligence took the form of a four day site visit to the licence areas by the South African based company, Geo-Consult International. "An initial report from Geo-Consult supports the view that the licences are highly prospective for graphite and further stated that, 'the permit areas are well situated in relation to an existing graphite mine and exploration projects, and constitute high quality exploration targets hosting favourable lithologies and structures'", said the Triton Gold announcement. Triton acquired the rights to the graphite projects in June from the Mozambican company, Grafex. Under this deal, Triton is to spend 1.5 million Australian dollars on development and on cash payments to Grafex. In addition, Grafex will receive fifteen million Triton shares and the right to buy, over the next three years, a further ten million shares at a cost of five Australian cents each. Triton plans to sell five million shares at ten cents to raise funds for carrying out the prospecting. Three of the Grafex licences are in Ancuabe district, adjacent to the licences held by the German multinational Graphit Kropfmuhl. Graphite was mined in Ancuabe between 1992 and 1999, but operations were suspended due to the high cost of running diesel-powered electricity generators. However, the situation changed two years ago with the expansion of the national electricity grid to Ancuabe. The other two Grafex licences cover parts of Balama district, north of the licence held by another Australian company, Syrah Resources. This week's Triton statement says that the first due diligence payment has been made to Grafex. The second phase of due diligence is now under way, and the whole process should be completed within four months. All the areas covered by the Grafex licences are within easy reach of major roads, and of the port and airport in the provincial capital, Pemba. The Geoconsult review "has verified good access to all license areas via the bitumen and gravel roads and this sound infrastructure will be very important to assist the company should the Board of Directors agree to move to the next stage and execute a joint venture with Grafex to develop the project areas", Triton added. There are two types of graphite occurrences in Namibia. One type is found in altered granite of the Namaqualand Metamorphic Complex, and has been mined, and the other occurs in schists and marbles of the Swakop Group, Damara Sequence. 104, Bethanien District, some 55 km southwest of the Goageb siding. The ore body lies on the eastern slope of a prominent range of hills which rises 120 to 150 m above the level of the surrounding sandcovered valleys. The country rock consists almost entirely of greyish, medium- to coarsegrained granite and gneissic rocks of the Namaqualand Metamorphic Complex. The graphite-bearing zone, which strikes east-west, is about 10 m wide and is traceable over a distance of some 350 m. At the bottom of the hill it disappears underneath the sand cover, whereas near the summit it peters out. The zone comprises three parallel lodes. Veins, lenses and pockets of ore, several centimetres wide, dip 70o to 90o to the south. The graphite, which is of the fine-flaky to lumpy type, usually contains malachite specks, while sulphur occurs along cracks. The graphite veins are flanked by a palegreen, highly epidotized and kaolinized granite which is soft and highly decomposed. Parallel stringers of ferruginous and micaceous talcose material are associated with the veins (DeKock, 1935). The best quality graphite is located in the central lode and was initially worked by opencast mining along the slope, as the softness of the rocks in this area greatly facilitated mining operations. The excavation, which now measures 45 by 35 m, was later supplemented by two adits sited further downhill along the same lode, and a third was developed above the opencast pit. The lowermost tunnel is about 120 m long. Large-scale stoping from these adits yielded several thousand tons of graphite. The deposit was mined from 1940 to 1956 when the workings were destroyed by fire. Production was resumed in 1964 and ceased in 1974 when the reserves were exhausted. All the crude ore was railed to the Republic of South Africa where it was treated and refined. the Damara Sequence (Reimer, 1984). Graphite occurs on the farms Okanjande 145, Good Hope 298 and Highlands 311, about 20 km southwest of Otjiwarongo, in the form of sparsely disseminated flakes and small lenticular bodies within gneissose and schistose rocks of the Swakop Group (Schwellnus, 1941). The ore body is kidneyshaped and extends 600 m on its long axis with maximum surface widths exceeding 350 m; the depth extend is at least 70 m . The host rock is a highly deformed sequence of graphite enriched, quartzo-feldspathic gneisses with folded and boudinaged quartzite bands. Over 85% of the graphite occurs as well crystallised, undeformed flakes, disseminated throughout the rock along grain boundaries with an average flake size of 6 mm. Some clusters of graphite contain flakes of up to 2 mm in diameter. A minimum reserve of 36 million t grading 4.3% carbon as graphite has been established. Provisional mining reserves using a 3% cut-off are estimated as 12 million t grading 6.1% carbon, giving a waste to ore ratio of 0.18:1. A pilot plant is currently in operation (Rossing Uranium Ltd, 1991). A bedded, syngenetic, low-grade, bulk tonnage flake-graphite deposit was found on the farm Black Range 72 in 1987. Black Range 72 is located 40 km west of Usakos and the deposit straddles the road to Henties Bay. A small portion of the deposit was examined in detail. Geological reserves with a cut-off. grade of 2 % carbon as graphite amount to 13.75 Million t at 4.52 % C as graphite. Detailed mineralogical testwork was carried out on a 60 t bulk representative sample which was obtained by pitting. Recovery of graphite was very difficult as individual flakes are closely associated with mica. A recovery of 60% in saleable concentrates was achieved, but much of this classifies as powder (K. Hart, pers. comm.). On the northeastern and southern portions of the farm Lichtenstein 366 and on the farm Melrose 368 in the Windhoek District, well-developed graphite schists of fairly pure quality extend over a strike length of some 6 to 8 km (Cooke, 1965). They consist of several lenses and bands alternating with sericitic and amphibolitic schist. Similar occurrences near the Hakos Mountains around the farm Portsmut 664, Windhoek District, and north of the farm Aroams 315 in the Rehoboth District, unfortunately contain abundant mica, quartz and clay. Two samples of this material assayed 46 and 37% carbon. District. Unpubl. rep., geol. Surv. Namibia, 2 pp. DeKock, W.P. 1935. The Graphite Prospect at Aukam 104, District of Bethanie. Unpubl. rep., geol Surv. S. Afr. 2 pp. Reimer, T.O. 1984. Graphite in Precambrian rocks of southern Africa: Implications on the carbon content of metamorphic rocks. Precambr. Res. 26, 223-234. Rossing Uranium Ltd. 1991. Okanjande Graphite - A development of Rossing Uranium. 8 pp. Schwellnus, C.M. 1941. The Graphite Deposits Southwest of Otjiwarongo, South West Africa. Unpubl. rep., geol. Surv. S. Afr., 5 pp. Kibaran Nickel Ltd (ASX:KNL) reported preliminary test work has revealed strong graphite potential at its two Tanzanian properties, Mahenge and Merelani-Arusha. Sampling has produced grades up to 17.1% graphitic carbon. Graphitwerk Kropfmühl AG operates the Lynx Graphite Mine near Karoi in Zimbabwe. through a subsidiary, Zimbabwe German Graphite Mines (Pvt.) Ltd. The ore is mined underground from a lenticular ore body running 20%-35% crystalline flake graphite. The ore is beneficiated by flotation to make products containing 80%-83% and 90%-94% graphite.